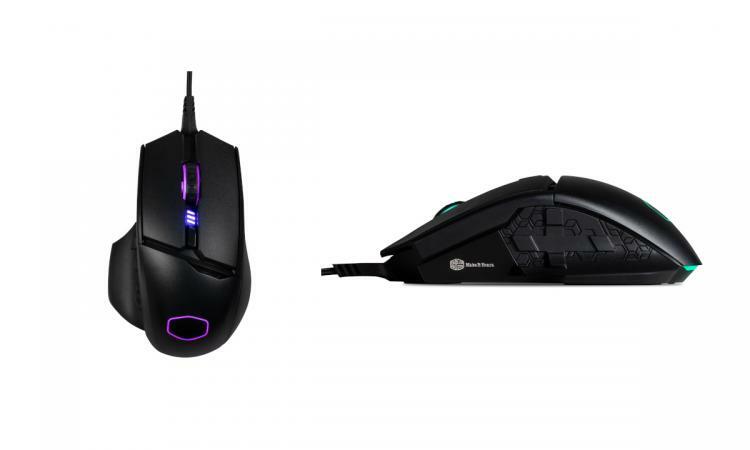 During CES 2019 Cooler Master finally put a launch window on the MM830, their first gaming mouse designed explicitly for MMO-style gaming. Nailed-down details were still relatively sparse however ahead of an official launch, and the exact in-store date and pricing for UK consumers weren't available. That's no longer the case thankfully, as Cooler Master have revealed both UK availability date and pre-order information at etailer SCAN.co.uk. 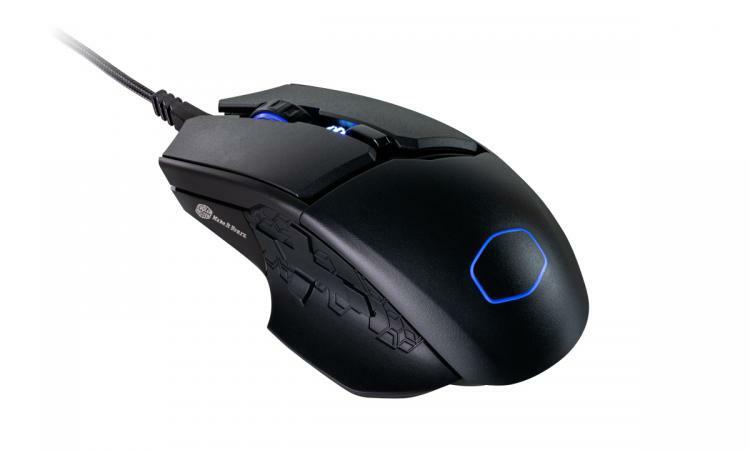 For the uninitiated, the MM830 is broadly similar to many other gaming mice designed for the MMO, RPG and MOBO genres. A standard mouse design flares into a broad base that offers palm support at the expense of slightly higher mousing resistance due to a larger contact area. That's fine for MMOs and RPGs where mouse movement isn't as twitch-oriented as FPS games, and allows for more complex design elements across the mouse exterior and within the interior. A thumb button array is not a new concept, but Cooler Master have changed things up by placing four distinct buttons in the thumb-rest area arraigned as a 'D-Pad'. These are of course remappable for in-game skills, abilities and macros, and can branch out into productivity applications using the same process. The layout of these buttons prevent you from 'fat-thumbing' more than one at a time, and distinct cardinal directions should help to improve reaction times and reduce the inevitable learning curve. Backing up the functionality is a 24k DPI sensor which Cooler Master describe as 'top of the line'. Precision and accuracy are important, but internal dynamics are very rarely detailed in the raw specifications. Check out reviews to see how the experts feel about the sensor's performance. 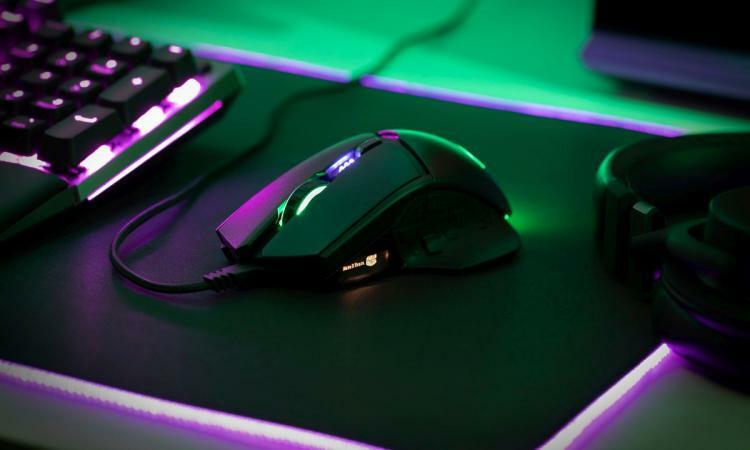 It is inevitable that a premium mouse features RGB lighting, but the MM830 also incorporates an RGB 96 x 64px OLED display directly into the mouse shell in front of the d-pad. This can be customised with dynamic metrics or personal flair, and complement the small RGB lighting zones on the top of the mouse. Ever-reliable Omron switches are used throughout, bolstering the mouses' PBT chassis durability. Finally, the mouse wheel can be configured to control multiple CM device settings in addition to standard functionality; that's a nice little feature that can afford to be explored further. The Cooler Master MM830 is available to pre-order from Scan.co.uk priced at £59.99 inc. V.A.Tp. Shipments are anticipated for February 18th. For more information on this mouse visit the product page.